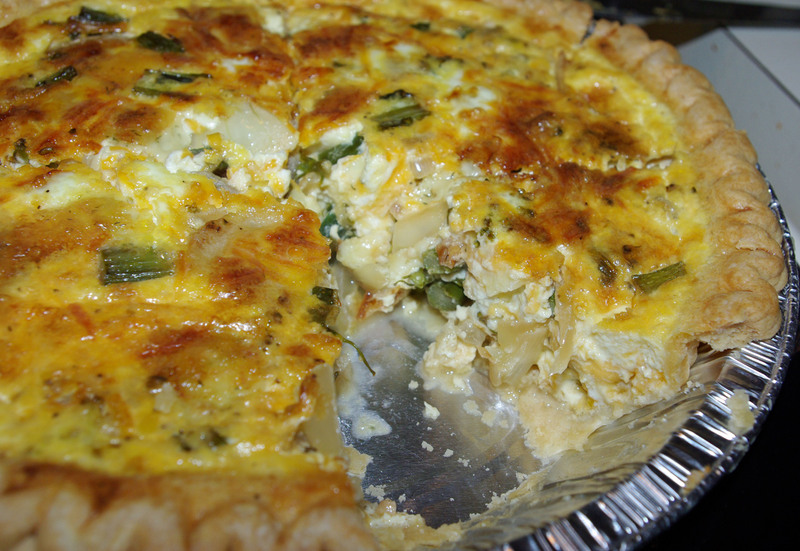 This weekend Griffin and I visited the Farmer’s Market again with our good friend Jessica (and Lola and Max) and along with playing in the fountain, snacking on kettle corn, and listening to buskers with accordians and fiddles, we also purchased ingredients for our very first quiche! I’m not sure what got me started (pictures of quiche on FB and instagram from friends or the free quiche breakfast at Chatty Crafty last month 0r just being surrounded by all of the fresh veggies, but I was certainly on a mission. 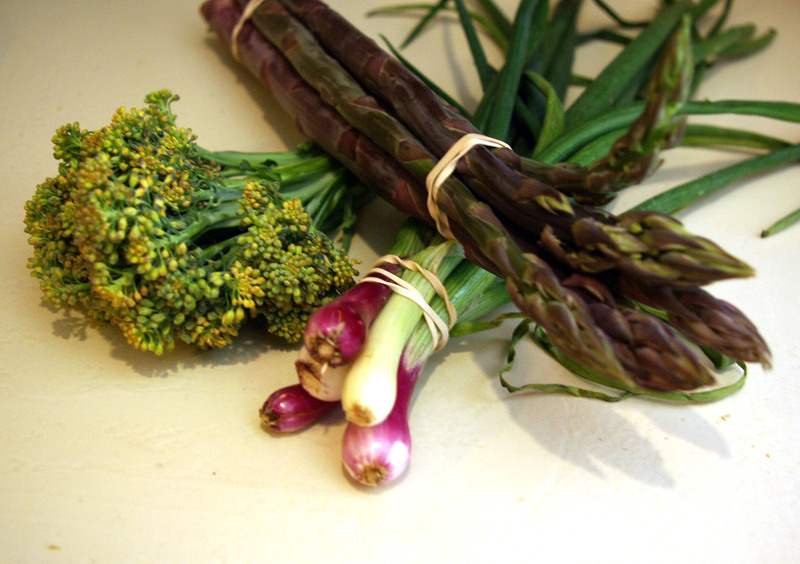 And so, we purchased some sweet broccoli, a bunch of asparagus, some green onions and some yummy yummy Amish Garlic and Dill cheese! 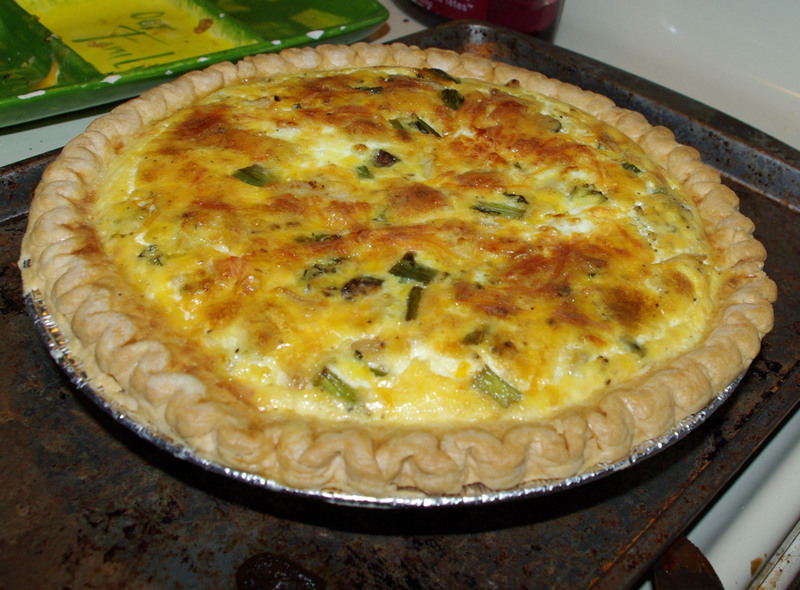 So, I’ve never made a quiche before. Ever. In my life. I’m not a cook, by any stretch of the imagination, but, it couldn’t be that hard right? So, I asked Jessica her advice, peered through some online recipes, and just jumped right in. So, I sauteed the veggies in a sauce pan first with the butter and some onion powder. 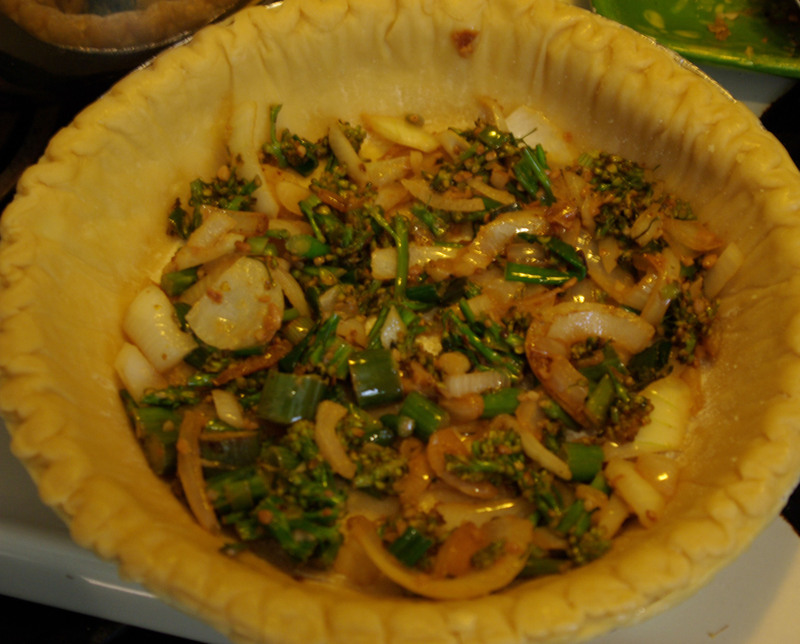 I kept adding random veggies because my intention was to make one broccoli quiche (with green onion) and one asparagus (with onion) but the broccoli was much smaller than I’d thought, so I just threw it all in there. 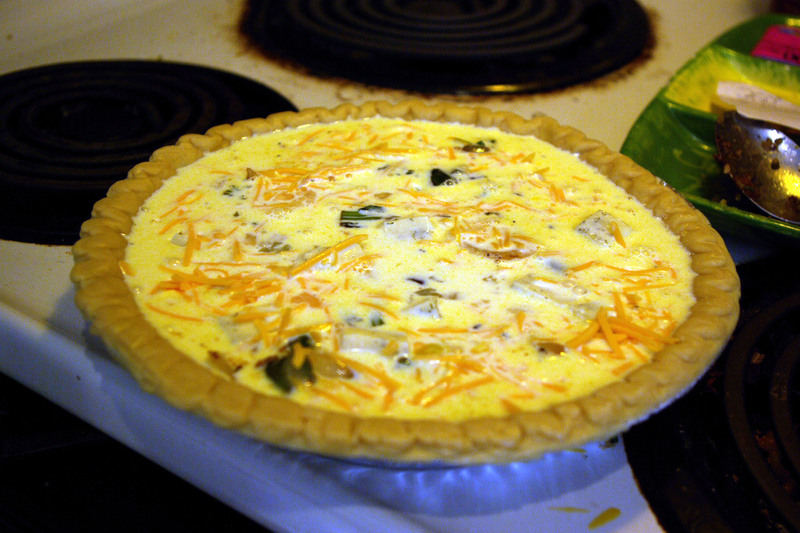 Once ‘softened’ I layered the veggie mixture and the cheese (to mix it up) and then poured the egg/milk mixture overtop. Voila. That’s IT! In the over at 350 for 35-40 minutes. I let it rest for a few minutes (while I cooked the picky eaters of the house something else) and then dug right in! And it was DELISH! I think the kicker was the Amish cheese. While it doesn’t melt terribly well, it’s SUPER tasty! Tomorrow (or Tuesday) I will make another! Oh yeah. The hubs gets home from his weekend away and I”ll make the rest of the asparagus and green onion. I’m not sure I’d do anything differently honestly, it was AWESOME! Thank you Jessica!